The first six recipients of the Wilton H. Bunch Interdisciplinary Faculty Fellowship at Samford University have been announced. The Bunch Fellows, as they will be known, are Samford faculty members who teach University Fellows courses and serve the larger aims of the honors program in many ways, said University Fellows Director Bryan Johnson. They will serve two-year renewable terms. The inaugural class members are Elizabeth G. Dobbins, biology; Steven F. Donaldson, math and computer science; Shannon R. Flynt, classics; Michael J. Janas, communication studies; Scott McGinnis, religion; and Randall Todd, classics. Bunch Fellows will receive annual professional development funding for conference travel, course development or research support, and other opportunities to participate in Fellows-related initiatives such as acceptance into the Faculty Summer Great Ideas Institute and priority consideration for Alabama Power research grants. In return, they will continue to teach University Fellows courses, assist in the Fellows admission process and support Fellows community-building events. The fellowship honors Bunch, who joined the Samford’s Beeson Divinity School faculty in 2006 to teach ethics. Now affiliated with the philosophy department, he teaches medical ethics, medical humanities and introduction to scientific inquiry in the University Fellows program. He also helps coach the award-winning University Fellows Ethics Bowl team. According to Johnson, Bunch’s contributions to the University Fellows program are wide-reaching. Bunch, who holds a doctor of medicine degree, a Ph.D. in physiology, and master of business administration and master of divinity degrees, is a former orthopaedics professor and medical school administrator. He is a frequent writer and speaker on ethics in medicine. Dobbins, Samford’s Paul N. Propst Professor of Natural Sciences, teaches scientific inquiry in the University Fellows program. She is known and valued as a mentor to students. Active in Great Books education, she has presented papers at the Association of Core Texts and Courses Conference. Donaldson, director of Samford’s computer science program and a cofounder of the Samford Center for Science and Religion, helped develop the University Fellows scientific inquiry course, and teaches an Oxbridge Tutorial on the history and philosophy of science. He also reads student applications and assists with University Fellows interview day. Flynt coordinates the University Fellows annual study trip to Italy, during which she teaches art appreciation. She also teaches Fellows courses on Ancient Greece and Rome, and Early Christianity to the Renaissance, teaches high school students in the Fellows-sponsored Great Ideas Summer Institute and participates in the Great Ideas Summer Institute for faculty. Janas, head of the rhetoric division in the communication studies department and a former Samford debate coach, has taught writing and rhetoric in the University Fellows program since its beginning in 2008. Along with Bunch, he coaches the nationally recognized Fellows Ethics Bowl team. 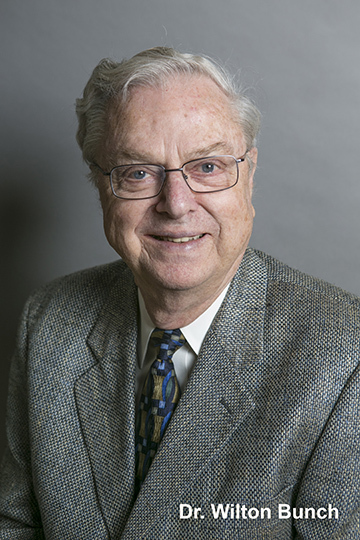 McGinnis, who researches in the area of Christianity and early modern England, has taught all four University Fellows Western Intellectual Tradition courses and has traveled to Italy with University Fellows. He is the author of many articles and book reviews, and a book, George Gifford and the Reformation of the Common Sort: Puritan Perspectives on Elizabethan Religious Life. Todd, chair of Samford’s classics department, has taught in the University Fellows program from its beginning. He helped design the program’s Italy study abroad experience, and the Ancient Greece and Rome course, which he teaches. He also teaches the Western Intellectual Tradition course on Early Christianity to the Renaissance. The highly competitive University Fellows program, Samford’s premiere academic offering for undergraduates, engages students in small seminar-style classes and unique in-depth learning opportunities. A total of 159 students are enrolled in the program this year.